Chicken dishes are a favourite in my family especially among kids. So I always try to cook chicken in different ways . 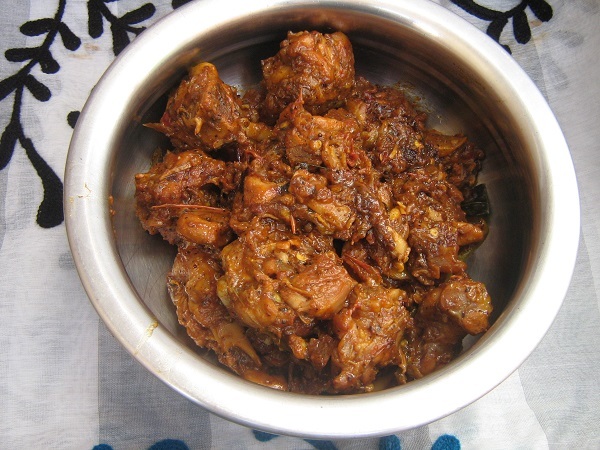 Today’s recipe is Chicken Varattiyathu which is very popular in Kerala. 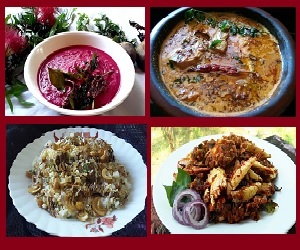 I have already shared nadan chicken curry (with coconut milk) and Chicken Varutharachathu. Both these recipes make use of coconut, the first one needs coconut milk and the second needs roasted coconut both of which I was in no mood to prepare and I wanted to make some easy chicken dish and finish off my work. 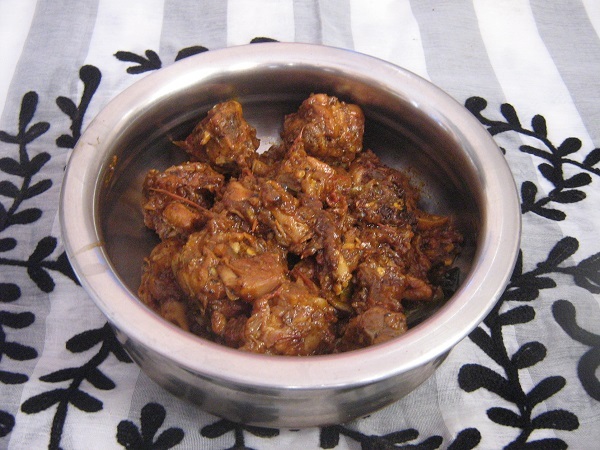 So I made this chicken varattiyathu, which was easy to make and tasty too. If you want a quick Chicken recipe without the hassle of making coconut mil or coconut roast Chicken varattiyathu will be a great option. Now to the recipe. 1. Clean the chicken pieces well with warm water . 2. 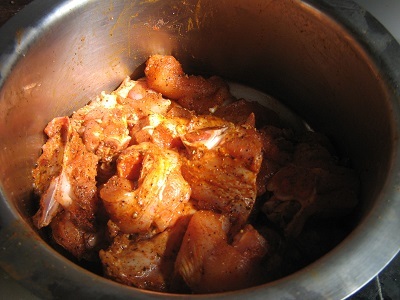 Marinate the chicken pieces with turmeric powder, red chilli powder, salt and pepper powder. Leave it aside fo half an hour. 3. In a pan heat oil. 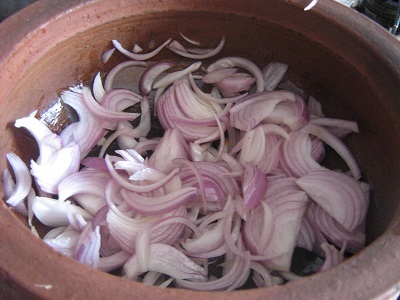 When hot enough, add sliced onion and saute nicely till it becomes brownish in color. 4. 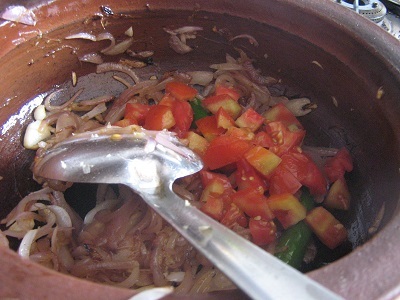 To this add ginger, green chilli, garlic and saute well. Now add tomatoes and saute it nicely. 5. Add marinated chicken pieces, saute well, add the required amount of water and cook covered. 6. 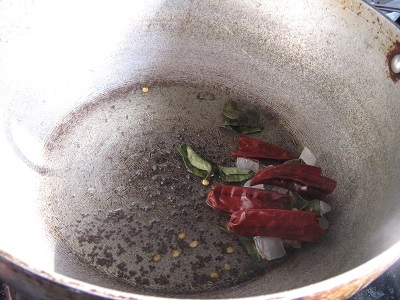 Now in another pan, heat oil, splutter mustard seeds, add dry red chilli, curry leaves, coconut bits, pepper powder. Saute it for a few seconds. 7. Add the cooked chicken pieces to the pan and roast it nicely. 8. 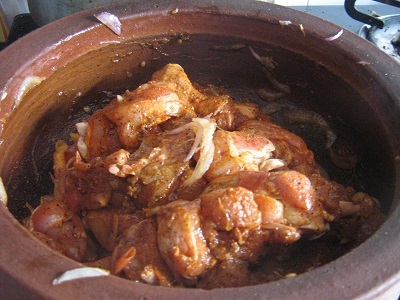 Chicken varattiyathu is ready to be served with Rice.